Editor’s Note: It’s an annual tradition for TLNT to count down the most popular posts of the previous 12 months. We’re reposting each of the top 30 articles through January 2nd. This is No. 16 of 2017. You can find the complete list here. When we discuss companies with a high employee turnover, we need to look at a range of factors that might be contributing to this. It might be a fault with recruitment, or perhaps the wrong employees are being hired. Maybe certain workplace processes make daily work frustrating, so employees look for opportunities elsewhere. It might also be that a company’s attitude towards flexibility and autonomy is too rigid for an increasingly independent workforce. However, one of the biggest reasons employees jump ship has more to do with one thing: poor management. A Gallup survey found 50% quit a job at some point in their career to get away from their manager. Bad managers have long been accepted as one of the key reasons people quit. This is hardly surprising. A manager has the power to engage, inspire, and motivate their employees. They can also single-handedly drive employees away with a number of bad habits. Do you hover as your employees work, justifying your micromanagement as a keen interest in the progress of your workforce? Are you always on hand to point out what your employees are doing wrong, or to walk them through every step of their role? If so, you are displaying one of the biggest warning signs of a dreadful manager. Employees hate being micromanaged, especially independent millennials who would actually rather be working for themselves. Constant micromanagement demonstrates a complete lack of trust in the individuals you hired, and constant attempts to control them means they will never learn to work under their own steam. Remember, there is more than one right way to do a job, and each employee has his or her own way of operating. Giving your employees a greater sense of autonomy is a great move. It’ll do wonders not only for their confidence, but for their morale, too. On top of this, micromanaging is exhausting for managers. You have your own work to do. Have faith that the people you hired to do their jobs are capable enough to carry them out. In an adult workplace, many managers believe that in-house bullying is an issue to be resolved between two grown-ups. In fact, in a survey of more than 1,500 employees in the U.K., a remarkable 91% of them said their organization failed to deal with workplace bullying adequately. However, ignoring incivility and hostility is a lazy and short-sighted move. Victims of workplace bullying can experience a host of psychological health problems, including anxiety, depression, stress, and panic attacks. This will impact absenteeism, morale, engagement, productivity, and turnover. 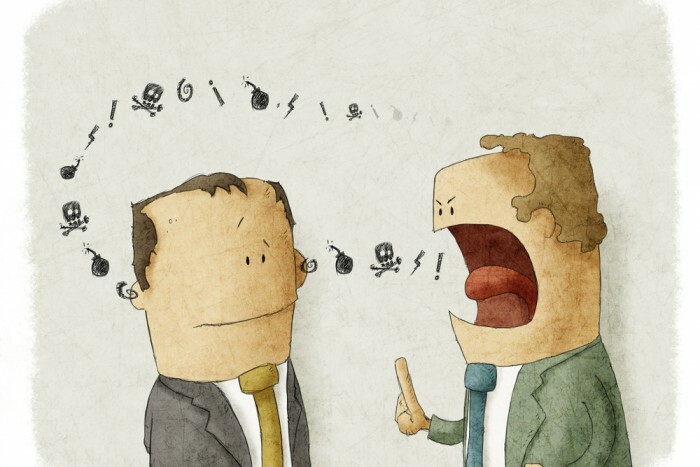 Managers need to stamp down on toxic behavior as soon as they notice it. Get HR involved and resolve the situation before other employees begin to think of it as acceptable behavior and it becomes part of your company culture. According to a 2015 SHRM survey of more than 600 employees, only 23% were “very satisfied” with the level of communication they had with their managers. This is terrible, considering how much a strong employee-manager relationship can influence employee engagement. In this age of real-time communication, employees expect — and deserve — frequent feedback from their managers. If the only time you meet with your employees is during their annual appraisal, you are doing them and your company a disservice. Many companies are adapting their performance management systems and transitioning into continuous performance management. This system incorporates the use of regular, monthly, future-focused check-ins. Such meetings allow employee and manager to exchange feedback, they encourage the formation of trusting relationships, and they give managers the opportunity to deliver much-needed employee recognition. In order to feel engaged with their roles and their company, employees need to be given the right information. They need to know the purpose of their role, how it fits into overall company objectives, and what their prospects for promotion are. Employees deserve to be well-informed, and good managers acknowledge this, supporting transparency and authenticity as key company values. Transparency is key for employee engagement, and such honesty is a great tool for building trust. Terrible managers withhold company information from employees for a number of reasons, but if you want your employees to be invested in your business, you need to be honest. Be clear about the company’s direction, discuss company struggles, and be open to employee feedback. Being open with such information is the only way to ensure that everyone on board will care as much as you do about keeping your company afloat. Does every single performance discussion begin and end with a list of mistakes and oversights your employees have made since your last meeting? Do your employees leave feeling dispirited, dejected, and dreading your next check-in? If so, you might be one of those managers who is constantly focused on the negative, which is a massive mistake. A focus on negative feedback can have a huge impact on engagement, while preventing employees from reaching their full potential. Instead of concentrating on weaknesses during performance discussions, consider highlighting employee strengths, how they have improved, and question what skills and strengths your employees are interested in developing. This will motivate employees to work harder, put in more discretionary effort, and to remain with your company in the long-term. Poor management can have a huge impact on a business, but the good news is that, with the right HR training, any manager can become a valuable asset. All that is required is a shift in mentality, an eagerness to engage, and the willingness to adapt to new, more modern ways of motivating staff.